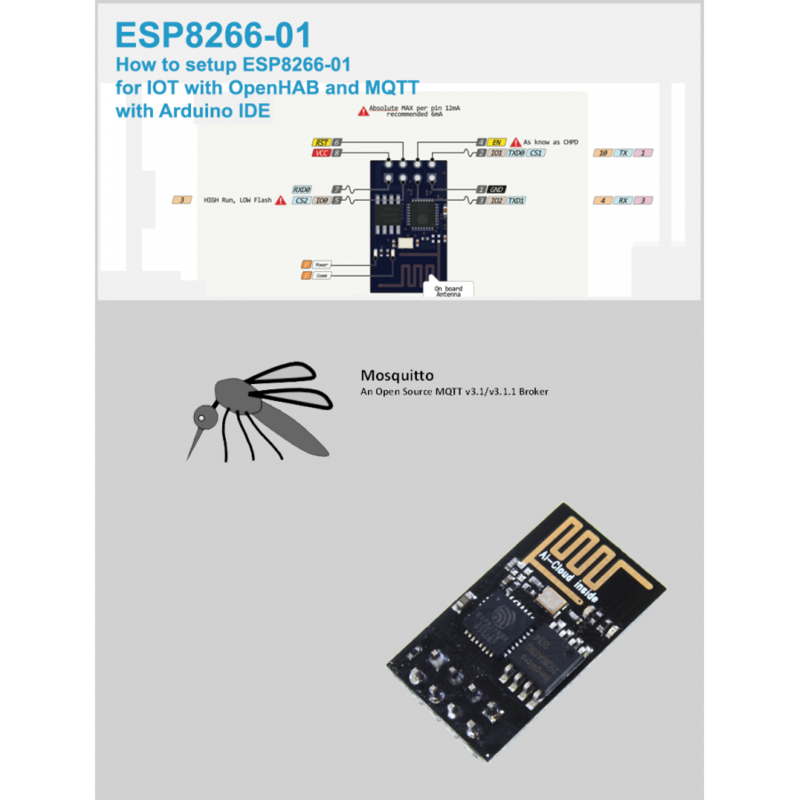 eBook How to setup ESP8266-01 for IOT with OpenHAB and MQTT using Arduino is a eBook which is a step by step guide on how to integrate a ESPP8266-01 wirelessly with MQTT topics which in turn seamlessly integrate with OpenHAB. This product simplifies and provides the ESP8266-01 Arduino sketch and Arduino Integrated Development Environment (IDE) guide. The project provides a suggested circuit design to ease and aide programming development. The project then covers creating Arduino sketch to subscribe and publish to MQTT topics with key learning around automated device identification management, return sate control and monitoring methodologies. 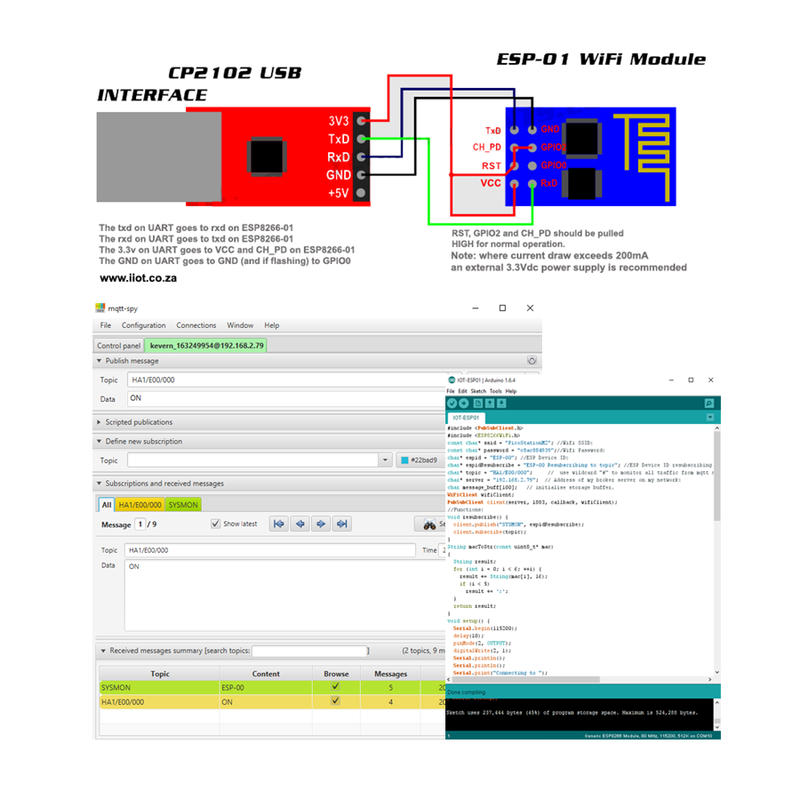 • All Project files provided includes Arduino IDE, Code, MQTT client, Arduino libraries, Firmware tools and UART drivers. • 36 Page detailed eBook (English only).